Add a charming focal point to your room with the inviting Portrait bath. Molded back support and armrests let you lean back in total comfort, making this bath both functional and stylish. The classic sculpted lines inspired by French provincial design complement a range of bathroom styles. Experience the invigorating sensation of BubbleMassage hydrotherapy in a charming, traditional bath inspired by French provincial design. While you relax against moulded lumbar support and armrests, air jets release thousands of bubbles to massage your body at the level of intensity you prefer. With Zones of Control(TM), you design your own experience. The overflow channel outside of the bathing well on the Purist whirlpool creates an extra-deep bathing space that offers cocooning warmth as you bathe. This whirlpool features a variable-speed pump with 18 settings, and an in-line, 1.5-kW heater keeps the water at your desired temperature. Additionally, durable, high-gloss acrylic construction ensures years of reliable use. This model includes the Spa Experience, an invigorating combination of six Flexjet whirlpool jets, effervescence and Chromatherapy. Eight effervescence ports emit thousands of champagne-like bubbles that cling to and caress the body, while Chromatherapy lighting provides a full spectrum of colour that washes over you. Also available in store by special order only see store for details. 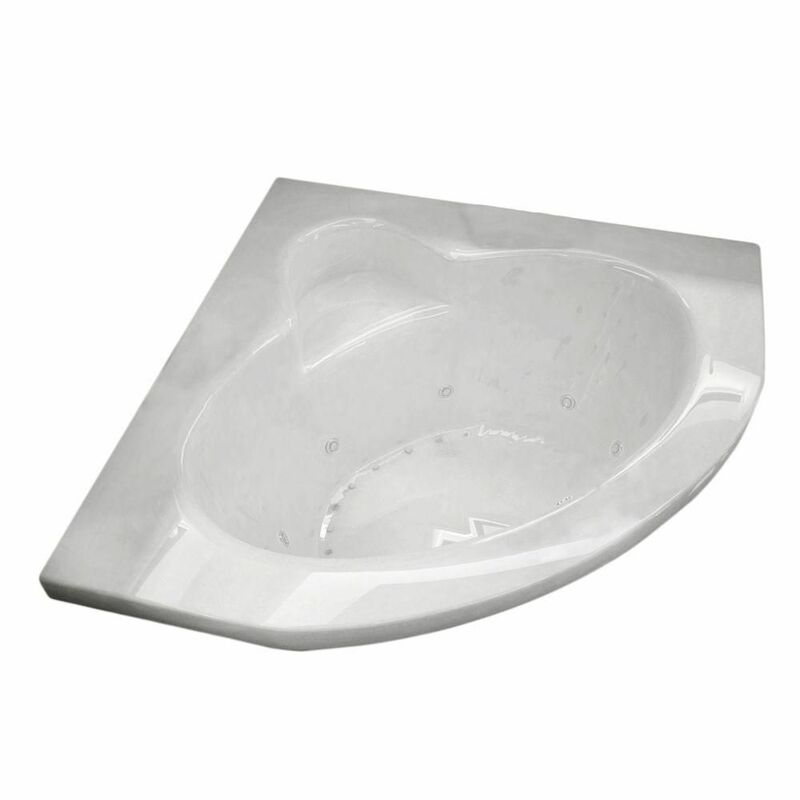 Jasper 5 Ft. Acrylic Drop-in Left Drain Corner Whirlpool and Air Bathtub in White Jasper bathtub collection features a series of corner oval-opening bathtubs, easily fitting two adults. Molded-in seat is strategically placed across the tub filler to ensure luxury and comfort.